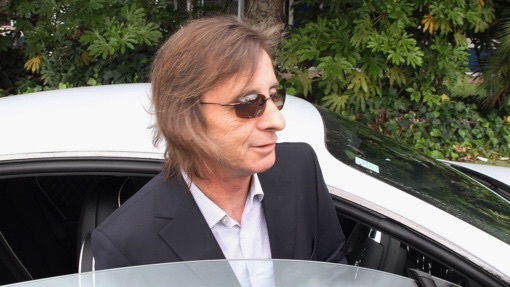 AC/DC drummer Phil Rudd was arrested in New Zealand on Thursday morning local time and charged with attempting to procure a murder, as first reported by Stuff.co.nz. A member of the Tauranga Central division of New Zealand Police confirmed Rudd's arrest to Rolling Stone, but did not provide any additional details. According to Stuff, Rudd allegedly tried to have two as-yet-unidentified men killed and was also charged with possession of methamphetamine, possession of cannabis and threatening to kill. The longtime drummer appeared in Tauranga District Court on Thursday afternoon local time and was released on bail. He is due back for his next hearing on November 27th and faces up to 10 years in prison on the murder-for-hire charge if convicted. New Zealand police have yet to reveal any details behind Rudd's arrest or who were the intended victims. According to New Zealand news outlet The Sun, Rudd was "accused of procuring murder" between September 25th and 26th. The drug charges pertain to a raid on the 60-year-old drummer's house conducted by police on Thursday. The other members of the group issued a statement to Rolling Stone, saying, "We've only become aware of Phil's arrest as the news was breaking. We have no further comment. Phil’s absence will not affect the release of our new album Rock or Bust and upcoming tour next year." Last month, a new press photo of the group was released featuring frontman Brian Johnson, bassist Cliff Williams and guitarists Angus and Stevie Young. Asked why Rudd was not included in the photo, a spokesperson for the group told Rolling Stone at the time that the drummer was unable to make the photo shoot but was still an active member of the band. AC/DC had been prepping for the December 2nd release of Rock or Bust, their first record in six years and first without founding rhythm guitarist Malcolm Young, who left the band earlier this year due to dementia. The band debuted the first song to come off the album, "Play Ball," online in October. Rudd became AC/DC's drummer in 1975 and stayed with the band until 1983, moving to Tauranga after leaving the group. He rejoined AC/DC in 1994 and has been a permanent member ever since. The drummer released his debut album, Head Job, in August.